Wedding : the reception dress | escaped. I was reluctant to blog about the reception dress before the wedding because I believe in the term bridezilla lol. Here's what I can gather from my pregnancy brain so far. I did some research on how I wanted my reception dress to be - truth be told, there were A LOT OF THEM. I couldn't decide; traditional or modern, tulle or chiffon, full lace or half. 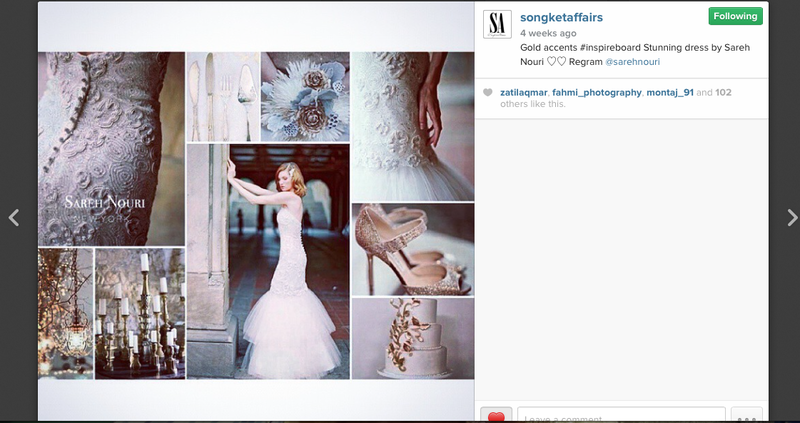 My main resource (besides Google) was Instagram - surprisingly you can find a lot of wedding inspirations from various accounts, most even based in KL! Their Instagram account is all about weddings - the wedding hall setting, the dais, the wedding dress, the flowers, the cake - you can find everything there. Though some (most, actually) looks out of this world, you can be inspired by the pictures. I wanted something as majestic (was quite into fairytale weddings, thanks to Songket Affairs -___-") as this dress, so with this design in mind, I started hunting for the designer. I was lucky because during the designer hunt, there were a lot of my closed ones and friends getting married or in their own journey to get married. So, a lot of ideas were exchanged and shared - I came across this designer by doing that. Again, the power of Instagram! 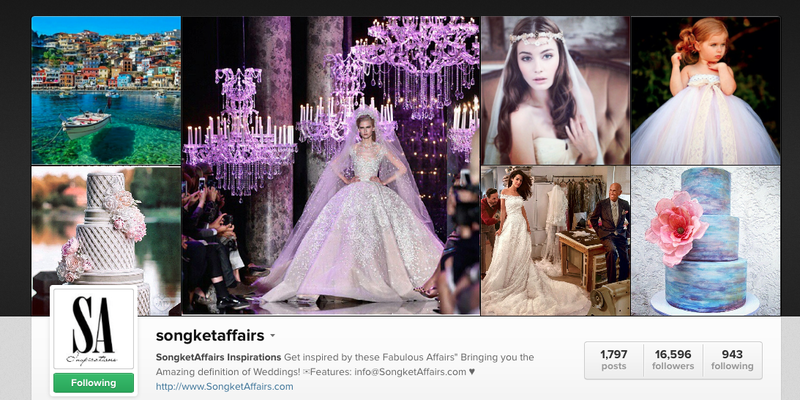 Found this designer's Instagram which shows some of her bridal collection, one of them similar to the design in my mind. Aishah Rouhe is a designer specialized in beadings for traditional clothing and bridal dresses, based in Ampang Park. 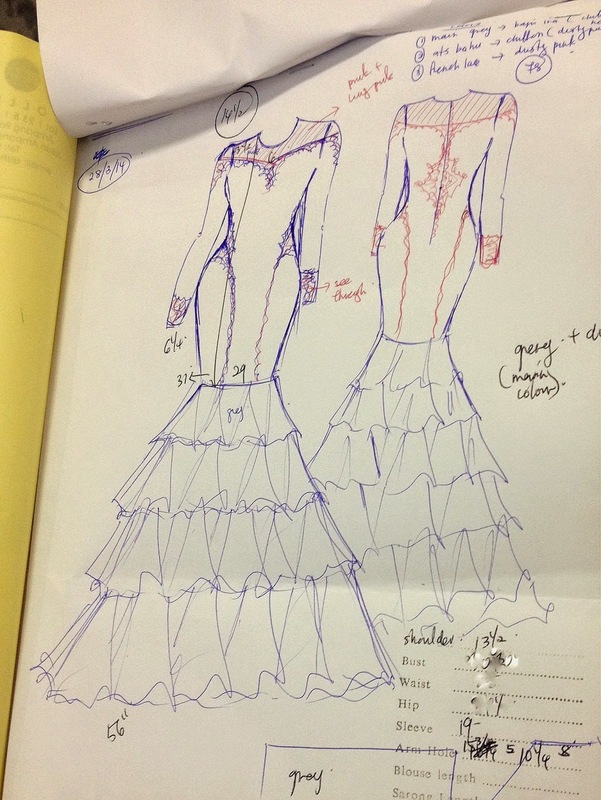 When I'm quite sure she can do the dress I wanted, I gave her boutique a call and set up an appointment. Our first appointment went smoothly - I gave her sketching of what was on my mind, and she made this for me. She showed me some of her bridal designs, and I was certain that she could deliver. So we settled on the color for the dress, the groom's baju melayu, materials, veil and scarf during the appointment! Paid the deposit, and there was no turning back. She called me for fabric hunting to ensure I'm fully informed about the materials, which I'm happy about. There were times that we had to reschedule due to both unavailability, and there were times when she couldn't make it on time - but she was professional enough to let her assistant do her part. I had 3 fittings - quite a number IMO, but she had to take some time to complete the rest of the beadings so we only saw the dress fully beaded during the last fitting. Overall, I was happy that it turned out like this - especially happy that it's got tulle! The beading was heavy but not overly done and Aishah did the beading in a way that one design belongs to one customer - so it doesn't resembles anyone else's. The scarf, veil and tiara were provided by her as well - saved me the trouble. Why didn't I hire a more well-known Malaysian designer? I've thought about this a lot - I've approached Yadotsa, PU3, Innai and others; but when some of them were a bit out of my price range, some were difficult to secure an appointment with since they need at least 6 months in advance to arrange the first appointment. For me, I made up my mind on the design 4 months before the wedding, so it was already too late. And though I know they can do exquisite job of this dress at a higher price, I was not ready to take the risk to secure the appointment, pay the deposit and put my trust on them in such a short time. So lesson learnt; if you want any of these designers, plan ahead at least a year! But listen to your financial advisor too (aka the fiancé lol) for budgeting as I don't believe in spurging too much on a dress you'd wear once. 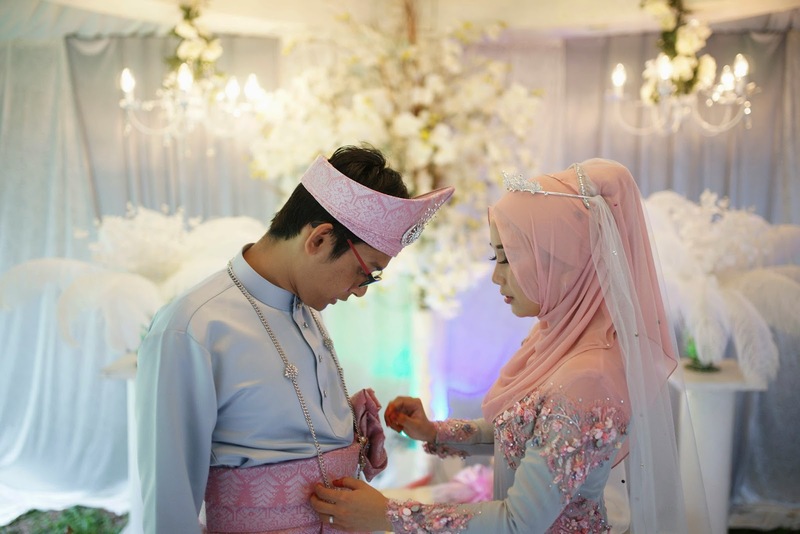 suka sangat2 your dress (design, color etc) and mekap masa ni kalau banding dengan masa nikah. masa ni memang zatil nampak mcm princess. cute ada, cantik pon ada. color tema pon lembut je, sedap mata tgk. 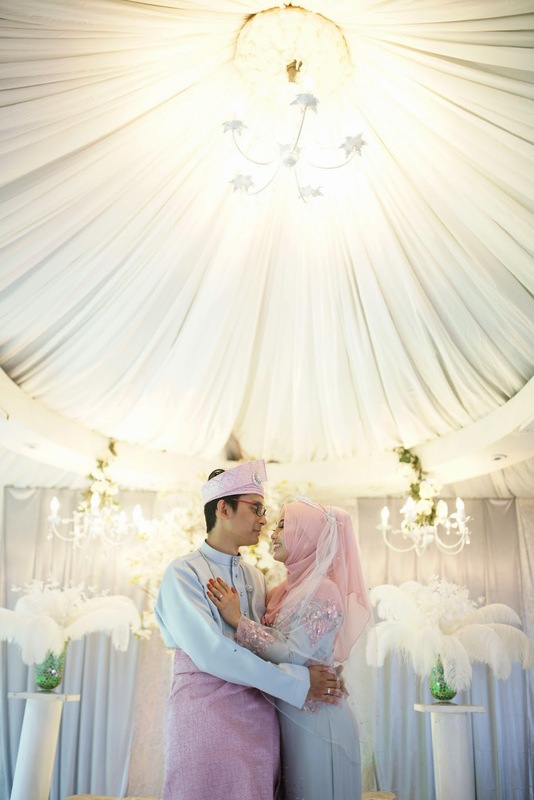 oh not to say time nikah tak cantik, cantik juga, tapi yg ni cantik tahap kita tgk tak berkelip mata org kata. anyway, tak guna well known designer pon tak apa cz yg ni pon dah cantik ditgk. berbaloi duit. May I know the price range for this dress?